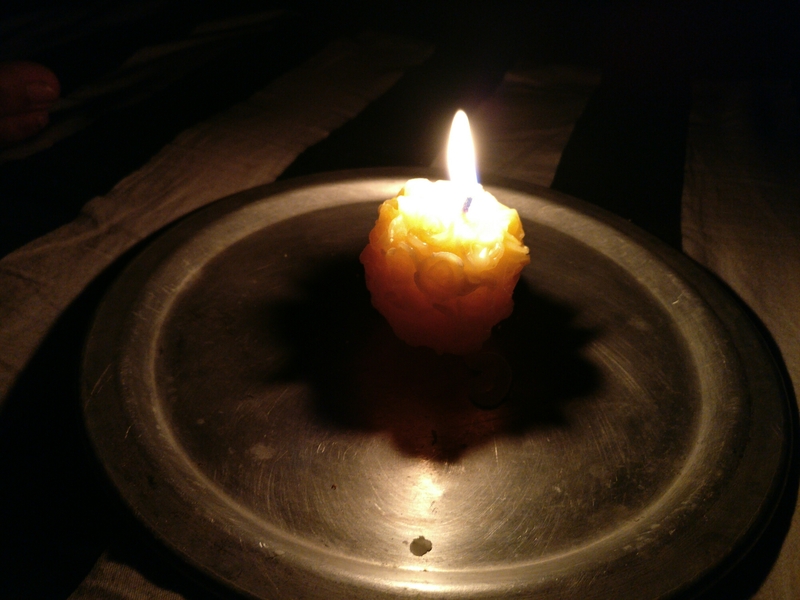 ​The candle kept glowing, in all its glory. Lighting up the whole room with its small flame. The untouchable light stood straight having fought all the air that tried to bend it. The wide colour gamut speaking of its versatility, from blue to yellow, it produced a smell that makes you close your eyes and smell the beauty that it was. It kept warming the environment as the two of us sat there in its pristine presence and its serene silence. The candle presented us the raw fire that has always been around. Literally always. The small blaze gave us a sense of time travel. The world has changed and yet my great great grandmothers and I see the same flame. Unshaken. Unadulterated. Centuries have gone by and it has not aged one day. We were witnessing the same flame that saved humans from extinction and the same fire that will take us to Mars in the future. Here was something in front of us, small, yet powerful enough to be independent of time and age. In the presence of this timeless creature, we lived a timeless moment. Essentially inserting another moment of our unforgettable time in the unending life of the flame, a footprint of ours in a way. The flame was less a part of our life than we were the part of hers. We spoke no words that night, just like the candle and its shadow. My smile led her energetic hands move. My fear got her in laid back posture. My wink made her jump. We were just as well connected as the flame and its shadow. The shadow had a larger footprint than the candle. She was bigger than me, I too realized. I noticed how my slightest of changes were reflected in her. Even the most intricate ones – the ones human eyes may not even notice moved her body. She was just as well connected to me even while being a different entity. So, I touched her, for the first time like a blind man. My hands felt her silky texture for the first time. All this time she had walked by my side, but never felt so incredibly gorgeous before. I kept my eyes closed and traced her contours again, and again, and again… Until the blind person had become one with how she really was. That night, in the uncontaminated setting of the flame, I felt natural in my life. Pure and raw, for a moment, disconnected from all worldly things. So, I asked her in that moment when we sat with a timeless entity, to dream a dream. To give your word to an eternity, to an immortal. All she said was she was living one. She asked back the question to me. I’ll write of something just as unbending as the flame. Just as timeless. 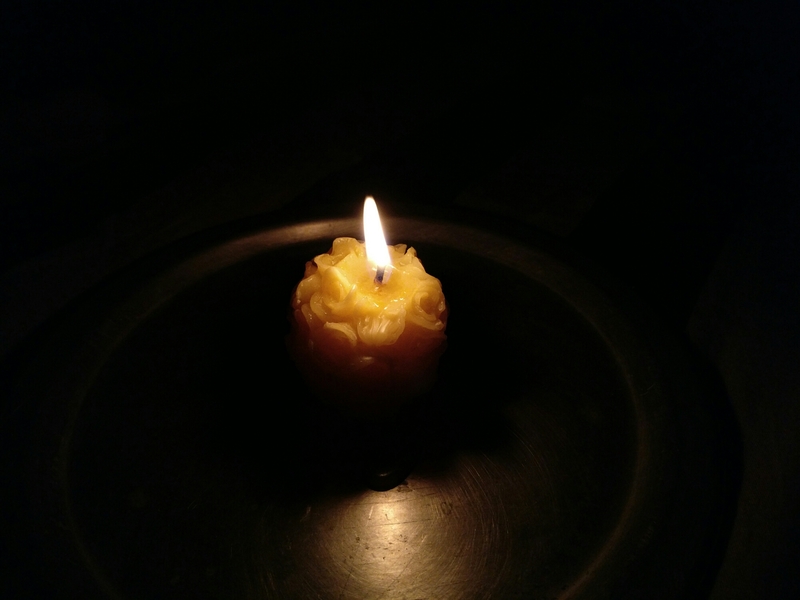 That scented candle, a creation of a blind person from an NGO, lit up my room that night. I couldn’t help but wonder how a person who never witnessed this perennial beauty through their eyes gave birth to it. And not just in any ordinary way – (s)he shaped the candle as a bouquet of roses. I wonder what (s)he wanted to say through it. Could it just be for aesthetic purpose so someone buys it and their NGO gets money so they get something proper to eat? Could it represent how we burn the beautiful nature for our pleasing? Could it be representing the warmth they feel by touching and smelling roses? Could it have a memory related to it? Could it just be something enforced by management? I am just as blind to the cause of this beautiful art as blind is its creator to this beautiful timeless creature. Only the flame transcends our lives and knows the truth. The scented candle carried a million tales under its flame. We’re blinded from all but one. But the one we were a part of, humbled and purified us. It gave both of us – me and my shadow – a moment where we felt connected in this life where we have been inseparable yet different entities. Amazing.. great going Bhavul.. keep it up..! !